Speedway Motors has announced the release of its new line of Bolt-Together Chassis Components for 1947-1954 Chevy pickup trucks. The new components will allow a builder to assemble a complete frame using only hand tools and a drill, said the company. RetroSound has announced the release of its new Model Two radio, which is specifically designed for use in classic cars and is compatible with iPods and iPhones. The Model Two radio features built-in Bluetooth hands-free technology and comes with an external microphone. It also features wireless Bluetooth audio streaming from any iPhone or Android phone. Any phone app, including satellite radio, Pandora and Slacker Radio, can be streamed to the Model Two wirelessly, said the company. The Model Two includes front and rear RCA pre-outs, sub-woofer output and a built-in 25 watts x four-channel RMS power amplifier. The user-programmable 32,000-color LCD back-lit display allows radio’s illumination color to be matched to a vehicle’s interior color. 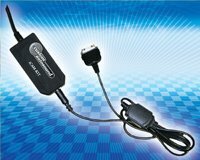 Two standard auxiliary inputs and two USB inputs for iPod or USB flash drives are included. The new USA-4DIN CD Radio from Custom Autosound is designed for use on classic cars that have a cut dash. The radio looks like a classic shaft-style radio but has a compact disc player behind the fold-down face. It will give cars that have had their dash cut for a modern CD radio a more classic look, and will fit in the existing opening, according to the company. Features of the new radio include a fully detachable face panel, a fully electronic loading CD/MP3 deck, an RCA pre-out for rear amplifier, an AM/FM PLL tuning radio and a front panel AUX in jack. It also offers a USB jack on the front panel and is IS3-TAG compatible so it will show the artist and song title on the display. The USA-4DIN radio will also fit most 1984-and-up foreign and domestic cars.